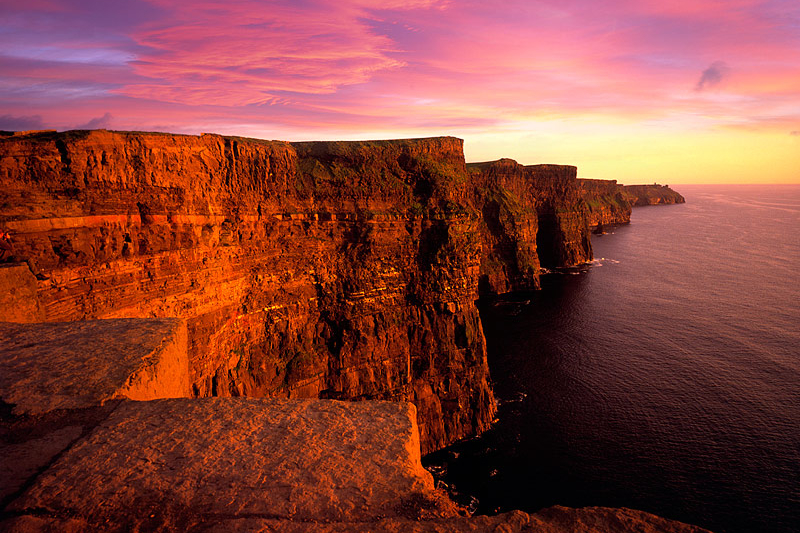 A Full Day Tour to one of Ireland’s most iconic attractions, The Cliffs of Moher. Let Classic Ireland Guided Tours guide to to this stunning coastal location, one of the finest examples of what The Wild Atlantic Way has to offer. Your private tour will take a scenic route through North Kerry and will join the Shannon Estuary Car Ferry at Tarbert. 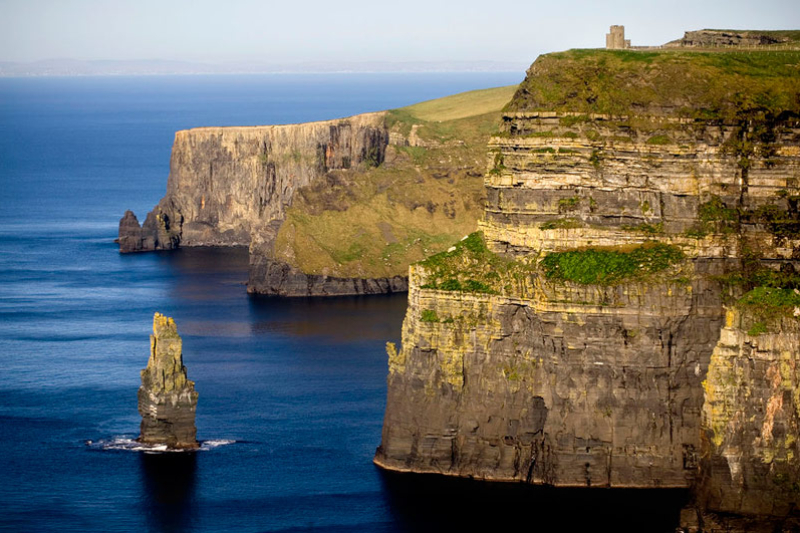 On arriving in County Clare, your will follow the Atlantic coast through the picturesque small towns and villages of Kilkee, Doonbeg, Quilty, Lahinch and Liscannor, finally arriving at the Cliffs of Moher. After taking in the dramatic scenery around the Cliffs, and taking lunch locally, your tour will return on the coastal route and ferry. This tour will last approx 8/9 hours (assuming Killarney as the starting location – time will vary if your tours begins at a different location). If you appreciate dramatic coastal scenery then this is the tour for you. 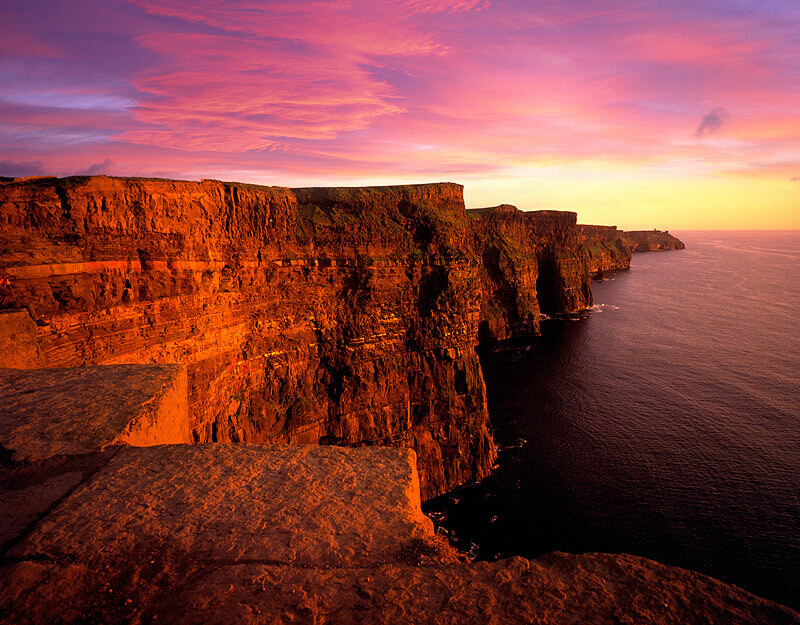 The route will give you many opportunities to experience and photograph vistas that have made Ireland so famous and established as a quality destination.